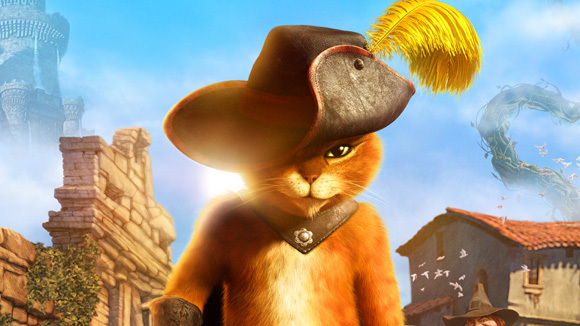 Many people really love "Puss in Boots" from Sherk movies, that is why "Puss in Boots" picked as "Most Cute Puss"! Many animal lovers still want to say, "it is very cute if it stare me with these cute eyes!" 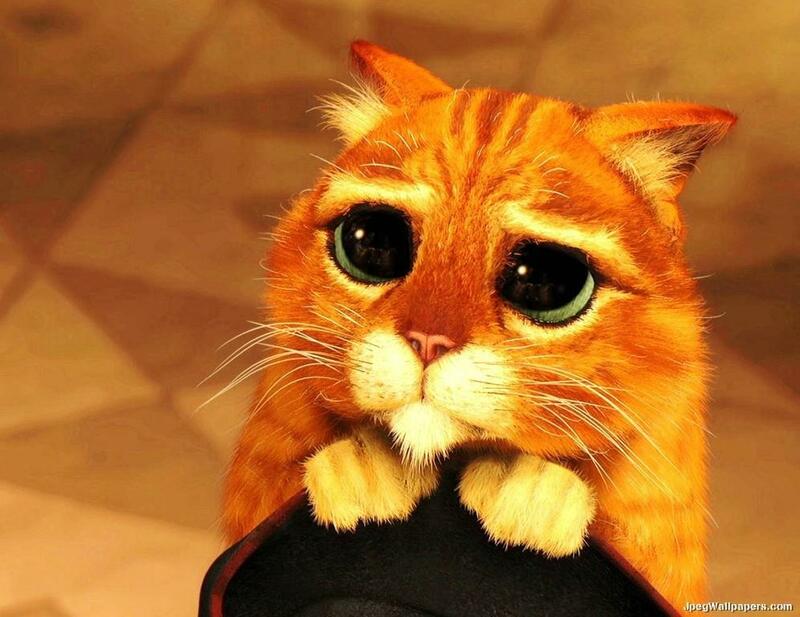 I really love Puss when he is cute kitty because the big kitty eyesmight get to you, too! It reminded me to take care of my pet, Miu Miu! When she is small and almost 1 year old, she love to play around me and my sisters! She is naugthy. Like "Puss in Boots"? Haha. Puss and his closest friend, Dumpty hated each other because their past? Dumpty is very greedy and never think about the others, his personality sure different than Puss. But, they still be great friend! I like cute Kitty Softpaws because she is clever and fast than Puss! Maybe they will be reunited again in next movie? 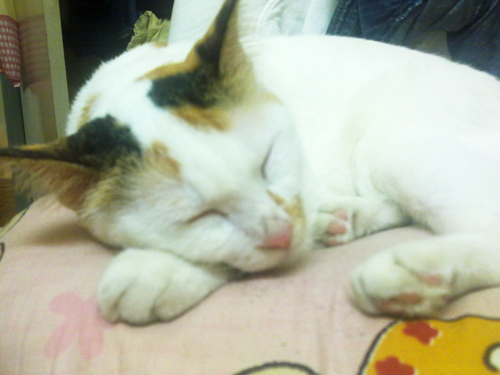 Miu miu is sleeping...ZZZ so cute!